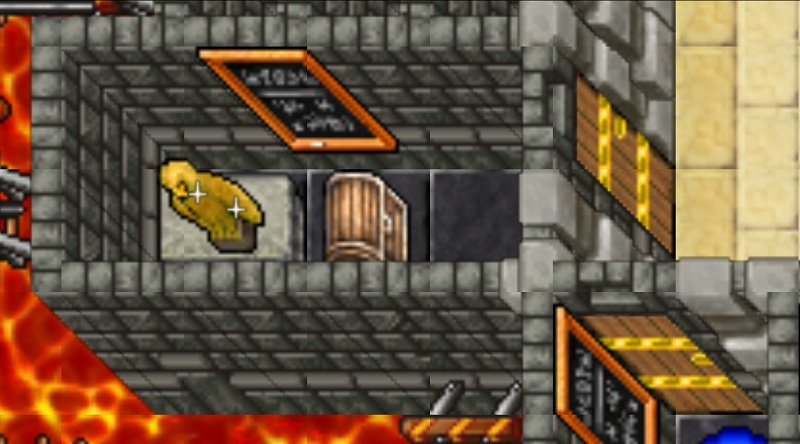 In our world you will find several quests for every players level. Look at the blackboard to see the reward and more info as the required level. You can access to the quests room through the teleport located in Thais Depot. 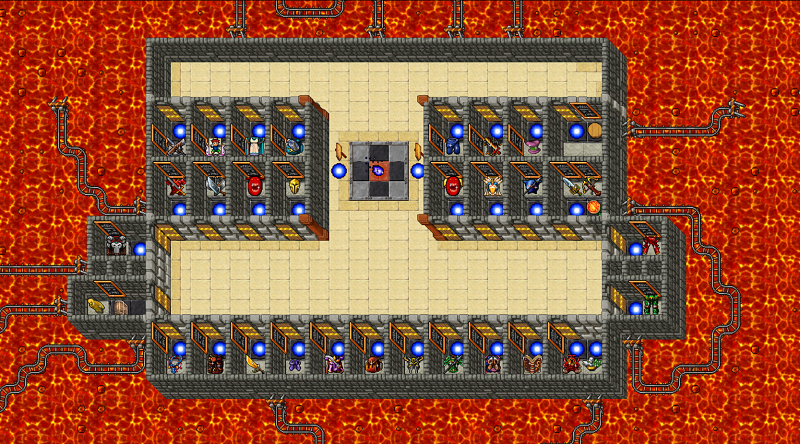 Once here, you will realize there are some new custom quests we created but there are also some real quests like pits of inferno, for example. I'm sure you won't have any problem with RL quests but if you have any doubt with our custom quests you can ask an ingame helper or post a topic here, or if you think you have found a bug you can also post another topic in the bugs section. The reward is a Golden Falcon. It's a token of honour granted only by Oraclum. 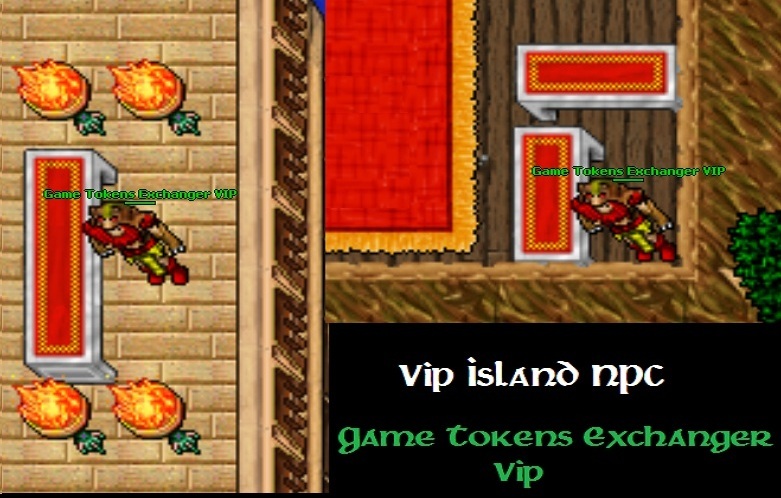 You can use it to decorate your house and show everybody your achievement or you can exchange it for a simple donate castle (you will receive the simple donate castle doll in the Game Tokens Exchanger Vip npc, ask a helper for the castle or post it in the forum). 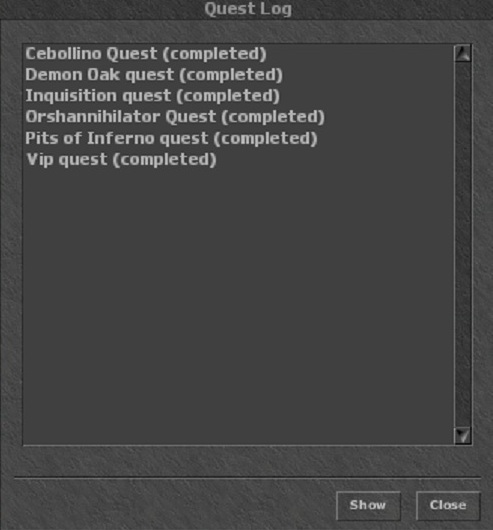 When you complete the quest, you will see it completed in your quest log. Also remember you need to become epic to wear the donate amulet and the donate ring. If you don't want to lose time doing quests, you can exchange your premium points for this items in our shop.